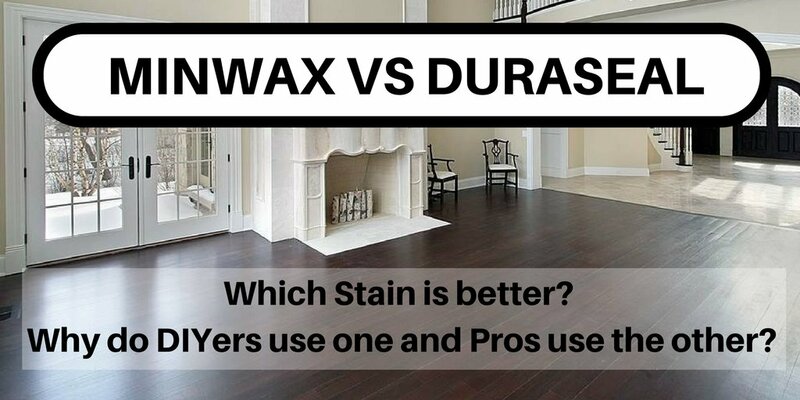 Minwax vs Duraseal Stain – Which is better for hardwood floors? 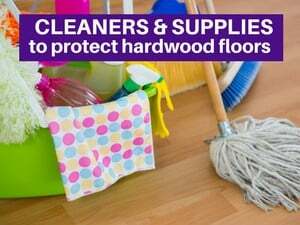 Which Stain is better for hardwood floors – DuraSeal or Minwax? Over the years, I’ve gotten many comments and questions relating to stain colors. Many people tell me that they (or their contractor/handyman) are using Minwax. I also see Minwax used in many Do-It-Yourself blogs. This always puzzled me as we almost always use DuraSeal, and most Professional Floor Refinishers exclusively use DuraSeal rather than Minwax. Why is it that most DIYers use Minwax? And, why do most flooring professionals use Duraseal? And, if given the choice, which one should you use? Who Makes DuraSeal and Minwax? Duraseal and Minwax are owned by the SAME company (Minwax) and they are both excellent stains. DuraSeal has been around since 1898 and Minwax since 1904. Minwax acquired DuraSeal many years ago. It appears that their marketing strategy is to promote Mixwax to homeowners/Do-it-Yourselfers and DuraSeal to professionals. (And a MInwax rep confirmed this). What’s the difference between Minwax and DuraSeal Stains? DuraSeal, which is made by Minwax is in my opinion a better product and generally leads to better a result on floors (i.e. more even coat and less likely to have drying/curing issues). Most flooring professionals STRONGLY prefer Duraseal, and have tested both stain brands. 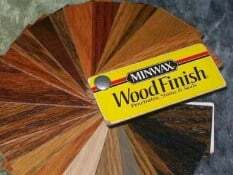 Minwax is a bit more pigmented , DuraSeal tends to more soluble and penetrates the wood a bit more which seals the wood better. Although most colors are offered in both Minwax and DuraSeal, the colors tend to show a bit darker on DuraSeal. And, DuraSeal has a wider color selection, including the new and trendy True Black. The biggest and most important difference between Minwax and DuraSeal is DRYING TIME. Duraseal dries MUCH FASTER. Duraseal generally takes 2 hours to penetrate and 8 hours to cure enough before you can apply the first coat of poly. (Note: We generally wait 24 hrs both to be safe…and also to apply the coats while it’s light outside). Minwax generally dries in 8 hours (per the manufacturer) but often takes 2-3 days to cure enough before you can safely apply the 1st coat of poly. And, if it’s very humid and/or a dark color, it can take even longer. 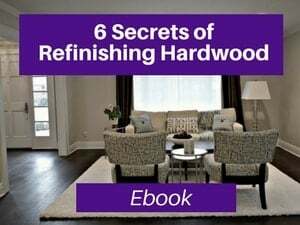 In fact, for a very deep colors such as red mahogany, dark walnut, jacobean or ebony and during a very humid time, it could even take as long as 5 to 7 days. So, why does drying/curing time matter so much? 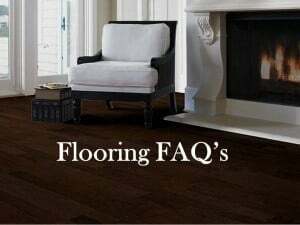 Well first, because it’s more convenient for the homeowner to have their floors dry faster (so that they walk on their floors sooner and move in/move back into the home (yes, you need to be off the floors during this process and you can learn more about that here: How long does it take to refinish hardwood floors?). It’s also a bit easier for the contractor as well, but truthfully, the big win is for the customer. Second, when the stain dries faster, you are less likely to have issues with the finish reacting with stain, or peeling and you are more likely to have a consistent color. 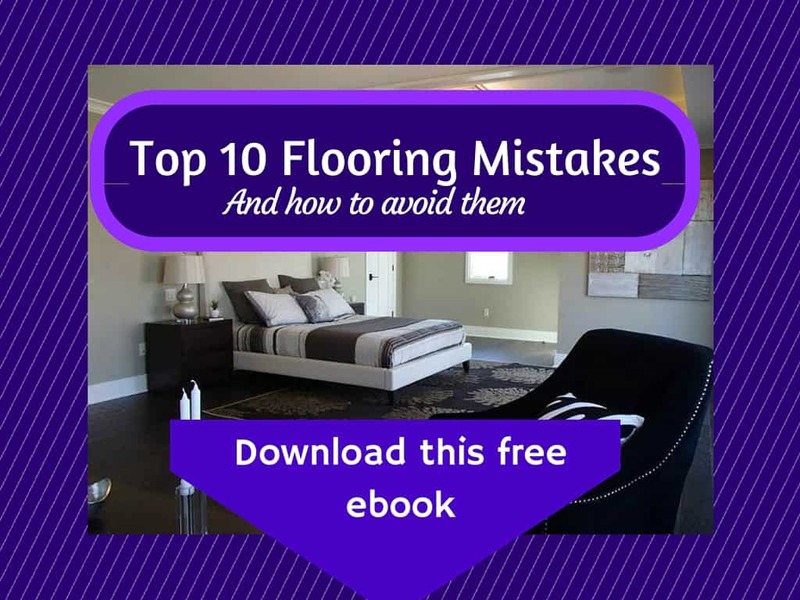 These sort of issues are much more common among DIYers, handymen and general contractors than among hardwood flooring professionals. Professional floor sanders know their trade very well and know how to “read” the floor well to know if it’s dry enough to apply polyurethane. And, if it isn’t dry enough, they will return the next day (as they know the cost of applying poly too soon (i.e. 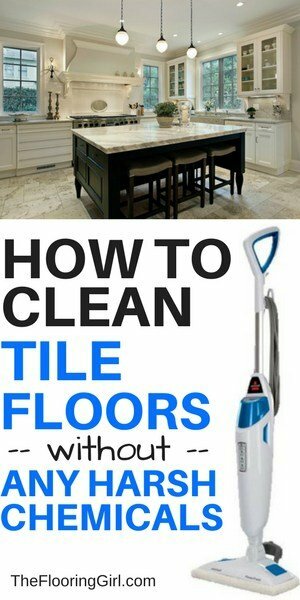 you need to start from scratch and sand the floors again). So, it’s ironic that the ones who are more likely to make the mistake of applying poly too soon also use a poly that takes longer to dry and they are hence more likely to have a problem. There really is very little (if any) difference in durability for these 2 stains. I’ve seen some contractors claim that Duraseal lasts a bit longer because it penetrates the wood more. But, the truth of the matter is that the durability is driven much more by the quality of sanding job and the type, brand and number of coats of polyurethane use. 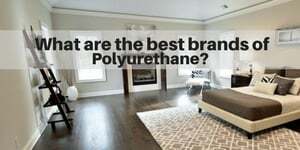 Which are the best brands of Polyurethane? 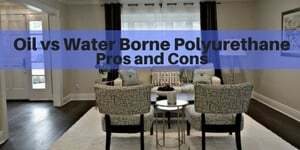 Water vs Oil Based Polyurethane? Which costs more – Minwax or DuraSeal stain? There is not a major cost difference between DuraSeal and Minwax. 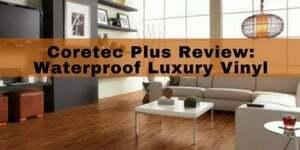 Generally, DuraSeal will cost a bit more and this is a testament to the quality of the product and validates why higher quality contractors will stand behind this product – they are usually looking to save money, but here’s an example where they are willing to pay more…because it leads to a better outcome. Also, while DuraSeal may cost a bit more, the cost is inconsequential in the whole project cost when you factor in labor (or renting a machine) and the cost of the polyurethane. And, since it will lead to a better and more even application, it is so worth it. Is there a difference in the VOC levels? No, there is no real difference in VOC levels (Volatile Organic Compounds), per the technical department at Minwax (yes, I called them). They are both compliant with state and federal laws, too. But, because DuraSeal dries faster, it doesn’t smell quite as long. When would we use Minwax? We would use Minwax when we are matching an existing floor and the customer had used Minwax on their existing floors. We would also use Minwax if the customer absolutely loves the stain color that’s only offered in Minwax. 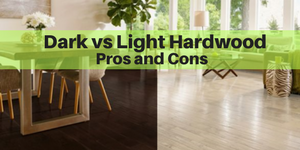 Both brands offer most of the same stains, especially the more popular ones such as golden oak, gunstock, provincial, special walnut, dark walnut, jacobean, and ebony. Duraseal also has a wider selection of colors. 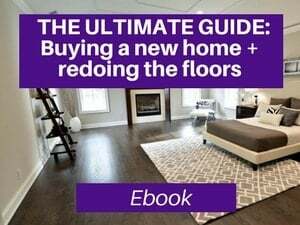 To learn more about stain color trends (and to see a full stain color list for both brands, check out the this article on Hardwood Floor Stain Trends. Duraseal stains tend to come out a bit darker than Minwax (when you are comparing the same color e.g. DuraSeal Ebony vs Minwax ebony. DuraSeal now offers a super dark color called True Black. This is more opaque vs Ebony and other dark stain colors. (see the picture on the right). Which stain combo should you use for staining hardwood floors gray? Please note that if you are looking to stain your floors gray, I would NEITHER recommend DuraSeal nor Minwax (nor any premixed) gray. These stains are too watery and not thick enough. Instead use white (preferably by Bona) and Duraseal ebony. I get tons of questions and calls about this. Read more about staining hardwood gray in this article. Update: Duraseal just came out with 6 new gray stain blends. Some are gray, some are gray/beige (or greige) mixtures and some are dark brown/gray mixes. You can learn more about these here. Why do Do-It-Yourselfers use Minwax and Flooring Professionals use DuraSeal? So, back to the original question: Why do DIYers use Minwax and Professionals use DuraSeal? Well, this simply seems to be a matter of familiarity and availability. Homeowners are more familiar with Minwax (both from years of TV ads and from ease of availability in the stores (Minwax can be found in Home Depot, Lowes and most hardware stores). DuraSeal is typically found in Flooring Stores (and thankfully, they are now available on Amazon). If you have the choice, I’d recommend Duraseal over Minwax. Where can you buy Minwax and Duraseal Stains? Minwax can be found in Home Depot, Lowes and most hardwood stores, as well as Amazon. Duraseal can be found in most Hardwood Flooring stores as well as Amazon. Bona Stains – Bona offers a good line of quality stains. 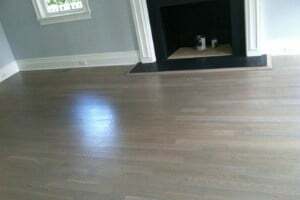 We use Bona White when we mix for gray hardwood floors. 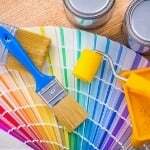 Sherwin Williams Stains – I would avoid these.as they are lacquer based and use special varnishes (and not the typical durable ones you would use with an oil based stain. I’ve had lot of customers call me where they’ve had a terrible experience with these stains. One customer even had to fully replace his floors because of the blend that Sherwin Williams created for him as it seaped between the planks. Sherwin Williams is an excellent paint brand. 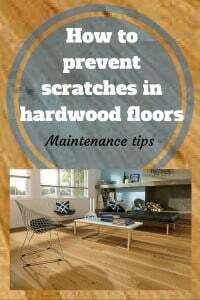 Hardwood is completely different surface. What is water popping and when does it make sense to do? 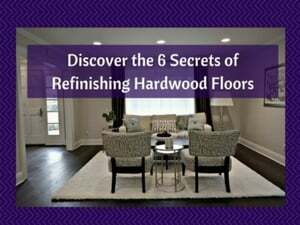 For more info, check out my Ebook – Discover the 6 Secrets to Refinishing Hardwood floors. Recently sanded wood floors down to bare wood and stained with minwax red chestnut, allowed to dry 48 hours then applied minwax super fast drying gloss polyurethane. This is where the problem began even with a/c set @74 and low humidity, bathroom exhaust fan left running it took in some spots 2-3 days for floor to dry (not sticky) now that first coat is dry there is a lot of orange peel look to the finish , if I sand down with 220 grit can I re coat the polyurethane with a different product i.e. Duraseal polyurethane gloss ? Or should I just bite the bullet and sand down to bare wood again and start over ? Based on your description, it sounds like you didn’t allow the stain to dry long enough before putting the poly on. This is one reason why duraseal stain is much better. Temp should generally be lower also, BTW – prob 70 or lower to be safe. You have the stain reacting with poly. You can try whatever you want, but I’m 99% certain that you will need to start again. And, I’d recommend using Duraseal and have temp lower. If you use Minwax, you may need to wait 4-7 days for the stain to dry. We have sanded down our previously stained old wood floors to bare wood. Is it necessary to use a pre-stain or a wood conditioner before applying stain? 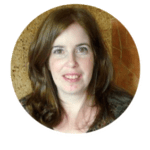 Molly – This depends on the species of wood. If it’s oak, then no. If it’s pine or maple, then yes. Ritika – It sounds like you haven’t done this before, so the best advice I can give is to hire a professional. Sanding and refinishing is extremely difficult, and if you haven’t done it before and if you don’t have the proper professional equipment, it will not come out right. and, you can not rent the proper equipment at Home Depot. Those machines are inferior. And, if you haven’t done this, I would also never recommend that you do a water pop…only experienced sanders should do that (and most sanders out there are not capable of doing a good job). Also, bear in mind that parquet floors are more challenging to do and take longer as you need to go in 2 different directions. If you have parquet though, chances are it’s either red or white oak. Also you can do whatever combo you want, but test it first to make sure you like it. It probably will be a form of burgundy, but you may want to test a few options (e.g. 50/50) to see what you prefer. Duraseal is a better brand than minwax and it will dry much faster. If you use minwax, it’s likely to take 5-7 days for the stain to dry (since it’s so dark) but w/ duraseal, it will prob just be 1-2 days. I’m guessing you’ll need 1 can of each for that area, but check the cans and see how much…it could vary based on size. For how long to wait, I can’t tell you that. You need to have experience to know how to do this and know the right feel. Again, I’d recommend hiring a professional. Oh and only do 1 coat of stain, never do 2. This is why you also need to test the stain. If you do a 2nd coat of stain, it won’t adhere properly. Again, I’d recommend you hire a professional. I just had my floors stained with Duraseal true black. The top coat seems to have bubbles in it and we got some scratches when we moved in. Any tips on how to repair the scratches on my own? Like a sharpie? Lol. I think I need to call the wood guy about the bubbles but I was wondering if you could tell me what it’s from? Vickie – Do not do anything…call the flooring guy that did your floor. You should not have bubbles. They will probably need to screen and recoat the floors again. It looks like they may not have stirred the poly properly. Also, you may not have allowed enough time before walking on the floors/putting furniture back. Wait at least 4 full days before putting furniture in. Furniture will now need to be moved out, floors screened, wait 4 days and then move furniture back. Hi, we put down 5″wide red oak flooring and did 2 coats of minwax ebony which looked on the test wood like it would be black enough but has turned out to be a deep brown. we would prefer not to have to continue to stain with this color. 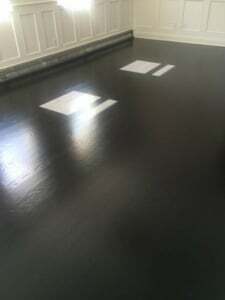 can we transition to the duraseal true black on top of the minwax or do you have any other suggestion as to how we can get the desired black look for the hardwood? Thanks in advance for your help!? Cynthia – Oh gosh. You are only supposed to put on one coat of stain, not 2, and certainly not 3. When you have more than 1 coat, the poly won’t adhere as well. It may be okay in some cases (assuming you hired a professional) but will probably wear down a bit faster over time. I would imagine that 3 coats of stain would be a disaster, and I would not expect it to last…or even come out right in the first place. Truthfully, what you should do is go back to square 1 and resand the floors. Or else take your chances with what you have. Also, I would NOT use Minwax. Use Duraseal instead as it comes out dark, the stain is better quality and it dries faster. If you don’t want to do this, then you could try putting in a bit of a tint on the 3rd coat of poly to make it a tad darker (assuming you are putting on 3 coats of poly). The stain weakens the poly a bit, so only tint it a bit. Not sure if you are doing this yourself or if you hired a professional. I’m guessing you might be doing this yourself as professionals wouldn’t use minwax nor would they do 2 coats of stain. So, you may want to hire a professional for the next go round. Also, if you stick with what you have, be sure to allow the stain enough time to dry before applying the poly. Often with Minwax dark stains, you may need to wait 5 to 7 days (vs. with Duraseal, it’s usually 24 hrs for ebony, but sometimes it takes 2 days when it’s humid. Hopefully, for the wood you both nailed and glued. Otherwise, the boards will separate. I hope this helps. Sorry that this is not what you want to hear. First I love your blog. Another big difference is pigment versus dye. duraseal is a dye product. Where minwax is a pigment. Dye stains are much more forgiving when applying and even when a color variation do occur, which rare with dye, it can easily be buffed out. without having to create a solution containing the particles of pigment user error is much less likely too. 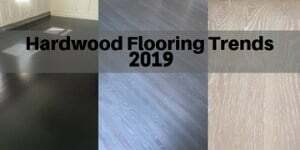 In my area drifast is the go to for most flooring companies. Though I’m with you on using the duraseal quick dry, mainly because they color match with the Minwax Stains which most people associate with wood stains. My only real complaint is the cans are so hard to open. Todd – Thanks and EXCELLENT points. Thanks for adding to the conversation. Yes, they are a bit challenging to open. Lil – Yes, that’s exactly right! Perfect. Thanks for all of this great information…it really helps. I have recently been caught by the Pinterst bug. I have installed 6 inch grade A plywood strips in one of my bedrooms. I really want to apply a duraseal mix of red maghony and ebony that I have already tested on a piece… Do I need a conditioner, and what does primer do? 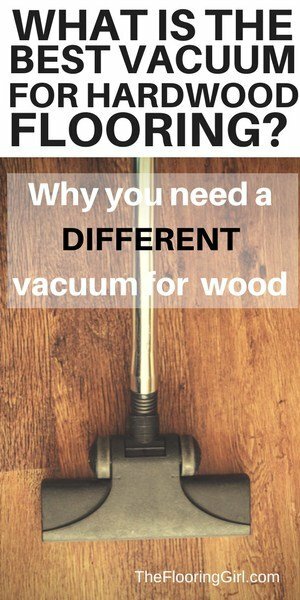 I love pinterest, but I need to tell you that there is a lot of misleading DIY info in there. In general, you don’t sand plywood floors. And, you need to know that you will not be able to resand them in the future (due to the plies). This is not real hardwood…it’s a form of engineered wood, so tread with caution. You may easily sand through the first layer, especially if you aren’t experienced in sanding. Regarding conditioner, this depends on the species of plywood you got. If it’s oak, then no conditioner. Not sure why you would even consider a primer. You would only use a primer if you are painting. Never use it if you will stain. I hope that helps. Hi, do you need to bleach the white oak before using Duraseal Country White? My builder gave me a sample that seems only have a transparent coat on the wood. And he wants to charge me $20K more to have the white wash look I want. Lirain – No, you do not need to bleach white oak. I mean I guess you could, but it’s certainly not necessary. It sounds like your builder may not be very familiar with white wash, and like your builder is trying to rip you off (or else just doesn’t feel he can do the job right so trying to convince you not to do it). Sounds like the sample is using minwax or duraseal which is too liquidity. I would recommend hiring a flooring professional who does have experience with white wash. It should cost you more to do whitewash. It is a bit tricky. But the main cost increase would be due to trading up to Bona Traffic HD. But, it shouldn’t cost that much…unless you have a huge house – like maybe 8,000 sf + (which doesn’t happen that often). It’s very tricky to do white wash so hire an expert. And, while I don’t recommend it, if you need to do a 2nd coat of stain because it’s not white enough, expect to pay extra for that. 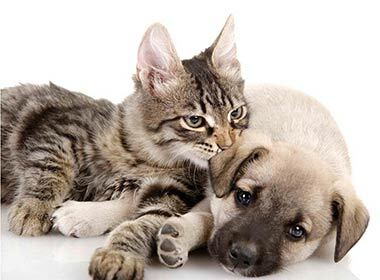 Many people’s expectations on white wash are unrealistic because they see prefinished white washed floors that are on different species.